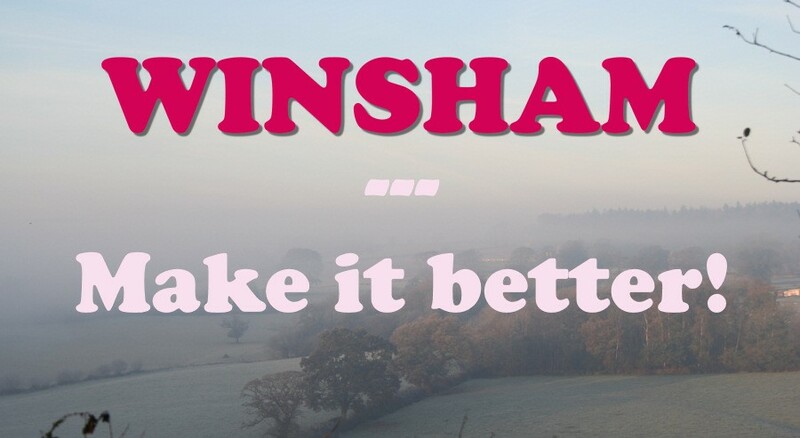 Residents of Winsham parish can take genuine pride in their parish. With occupation roots stretching back to the Bronze Age, Winsham Parish enjoys a beautiful and enviable location. Its residents can take genuine pride in it, and recognise the many benefits of belonging to a community that recognises its heritage, enjoys its rural surroundings, but is also forward looking. The recent Parish Survey, which covered Winsham village, Ammerham, Bridge, Leigh, Whatley, Purtington and Street, showed clearly that the elements of our parish life most valued were its pleasant rural surroundings and that it was generally regarded as a quiet area, uncrowded and a harmonious social environment. The Parish Survey, which can be seen on the Parish Web site, is unambiguous on this, and these findings are at the core of the Parish Plan published in 2014. All this is to be valued, and Winsham Parish Council aims to ensure that these valued characteristics are maintained. To help achieve this it needs the support, and sometimes action, on the part of Winsham residents. The Parish Plan identified aspects of life in Winsham which could be improved, and these will the benchmarks that will guide Parish Council action over the years ahead. There are, however, small improvements which can be made now with the help of everyone which can make the Parish even better. We can all ask ourselves 'Do I contribute to a particular problem-no matter how small-and can I make things better for my neighbours, friends and Winsham, overall, by doing something a little differently?'. · Parking in potentially dangerous spots. · Letting hedges, trees and plants on one's property over grow on to roads and footpaths. · Bonfires at unsocial times and inappropriate conditions. · Noise pollution by using garden and other power tools at unsocial times, and playing music unnecessarily loudly. · Planting of trees and hedges which may problems for your neighbours in the years ahead, in terms of overgrowing branches or views destroyed. So often, the only real solution is consideration for one and other. The law often has little to say about some of these things, and if it does, it can be difficult to enforce. As a start, it is important to understand, where the law stands on a variety of topics. Often this information exists on the South Somerset District Council web site, but not always: other web sites can also provide useful information. The Winsham Parish Council will be seeking out useful sources of information, and providing links to them. Every resident in the village of Winsham should be aware that a substantial part of the centre of the village is within a Conservation Area. Some buildings, within and outside the Conservation Area are also 'listed ' buildings. It is important that residents whose homes are in either or both of these categories are aware of these very important circumstances, and understand their obligations under law. The penalties for disregarding these obligations can be very onerous. Click here to see MAPS showing the Conservation Areas and the location of 'listed buildings' and a summary of some of the situations of which you should be aware. However this information is subject to change, and the Winsham Parish Council cannot accept responsibility for its accuracy. For the latest information always refer to the appropriate authority. The source of most of the information shown is SSDC. We urge everyone who has a problem to start with the facts. But sometimes an activity or situation may be lawful, but still creates a problem. That is when neighbourly good will comes in, and a few words , expressed in a courteous manner can work wonders. At other times, a situation may be unlawful, and although the rules may be on your side, it is sometimes difficult, expensive and distasteful to get it implemented. Similarly, neighbourly good will and a few well chosen words can achieve a great deal. In the months ahead, Winsham Parish Council will be publishing information about these problems and encouraging residents to take notice. It is hoped that this will remind people of the freedoms we have but also of the responsibilities that go with them. These links takes you to web sites that are full of useful information. They explains the responsibilities of landowners and visitors alike. This SSDC web page entitled 'Streets and Open Spaces' gives links to dealing with a wide range of environmental issues, ranging from how to report issues such as the removal of dead animals from roads and footpaths and offensive graffiti. Well worth browsing. Full of practical advice about bonfires and other sources of atmospheric pollution. This can be a source of tension between otherwise friendly neighbours. The links below might suggest solutions or at least help sort things out! Some noises worry some people others don't. It is when they get unreasonable the problems start. The link below give some useful guidance on what might be considered unreasonable noise, and what you can do about it. As always it starts with a reasonable conversation with the person most associated with it.